Towards the end of January, several executives from Pentana Solutions will board a plane to New Orleans in the United States to celebrate the 97th NADA (National Automobile Dealers Association) convention. For decades, representatives from Pentana Solutions have attended the NADA convention - successfully networking, researching industry trends and furthering our expertise within the automotive industry. Excitingly, this year in particular is a big year for Pentana Solutions at NADA in more ways than one and we can’t wait to share it with you. This year in New Orleans, Pentana Solutions will be sponsoring the International Lounge at NADA. Our team of executives will have the opportunity to personally network with international attendees - brainstorming, and sparking inspiration from thousands around the globe. We see this opportunity as a vital part of our growth strategy and look forward to getting to know as many people as we can in the global automotive industry. While doing so, we’ll provide coffee on us and the chance to relax from the chaos that can ensue inside the Expo hall. 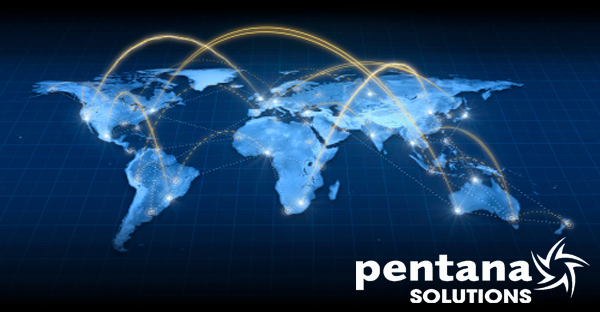 Through NADA in past years, Pentana Solutions has found new products and companies with whom we’ve partnered to add to our vast array of product offerings to our customers. We know this year will be just as exciting and informative, and we can’t wait to bring back everything we’ve learned to Australia. Along with sponsoring the International Lounge, we will have a booth featuring our online parts locator, PareX. At Booth #5504, come visit and speak with our European experts on how crucial PareX is for capitalising on your parts department. Getting rid of your obsolete parts has never been easier, and finding obscure parts has never been cheaper. We can’t wait to share with the 25,000 attendees at NADA just how dealership changing PareX can be. If you’re not attending NADA this year, stay tuned with us on LinkedIn, Twitter and our website to keep up with everything going on. We will have constant communication back to our followers, sharing with you the exciting industry chatter consuming New Orleans from January 24 - 27. Then of course, after our executives have debriefed back in the country, you’ll find out first hand what inspirations have headed straight to our development floor - bringing the benefits full circle back to you.